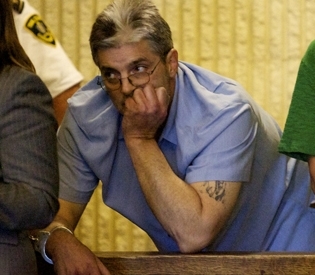 Mark Rossetti, a New England Mafia captain who was secretly working as an FBI informant, was sentenced today to 12 years in state prison after pleading guilty in Essex Superior Court in Salem to trafficking heroin. Rossetti, 53, of East Boston, is already serving 7 to 9 years for breaking and entering with intent to commit a felony for a separate conviction in July. He also faces more serious charges of loan sharking and extortion, which could lengthen his sentence. He was charged in 2010 with heading a massive criminal enterprise known as the Rossetti Organization. It was later revealed that he had a secret relationship with the FBI. That agency is now investigating whether the relationship was appropriate, given Rossetti’s violent criminal history.